Are you ready to get on the road to smarter investing? If your answer is yes,, you are in the right place. The world of investing can be a confusing and intimidating one. Many times we are uncertain of who or what to trust with our hard earned money. With that being said wouldn’t it be nice to know how you can invest with confidence, decrease your risks and increase your success? 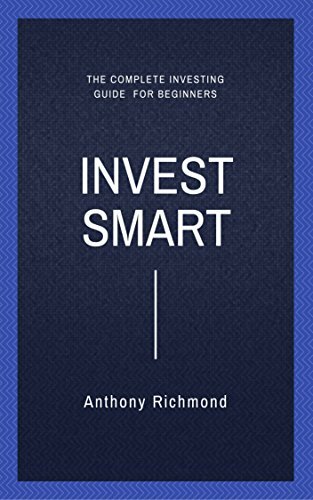 In this book you will find tried and true methods of investing as well as how you can indulge in these investments wisely and effectively. It will also show you how you can attain the success you want in your chosen areas of focus. Creating successful investments doesn’t have to be about getting a lot of complicated information. Instead it can be brought about by gaining simple and understandable information that you can fully understand and put into action. Hence if you like complicated and interesting this is not the guide for you but if you like things simple and understandable like I do then this will be of great help. If you want to learn how to invest with confidence, decrease risks and increase success in a simple, understandable and effective way, do not wait another moment and get this book now!